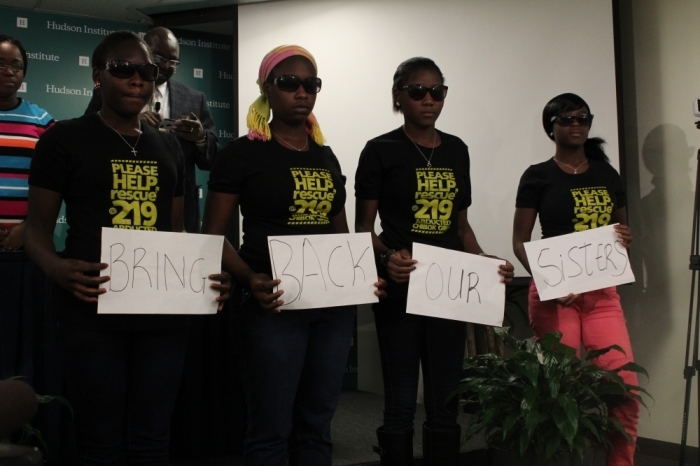 WASHINGTON – Nigerian human rights lawyer Emmanuel Ogebe insinuated that ISIS' systemic abductions of religious minorities in Iraq last summer were inspired by Boko Haram's kidnapping of over 276 Chibok schoolgirls last April. 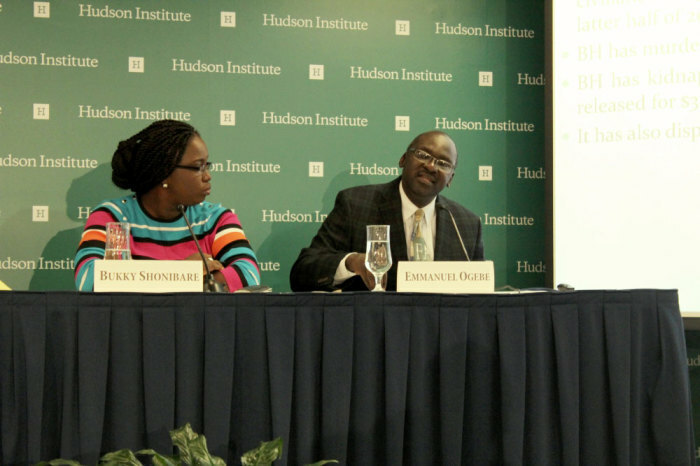 Ogebe, who became the youngest law graduate in Nigeria and was exiled to the United States as a political detainee, explained at an event hosted by the Hudson Institute on Monday, that after Boko Haram abducted the schoolgirls in the town of Chibok in April 2014, the terrorist organization Al Qaeda issued a statement condemning the group's kidnappings. He further explained that although Al Qaeda decried Boko Haram's abduction of the girls, the Al Qaeda offshoot, ISIS, responded in the opposite manner. "What was ISIS response?" Ogebe asked. "ISIS' response to the Chibok schoolgirls was to begin abducting Yazidis and Christians in Iraq. That seemed to be the point of where ISIS said, 'You know what, if these guys are getting this kind of condemnation from Al Qaeda, let's [relate] with them. They are good guys to get into bed with.'" "Their relationship has been one of grudging admiration and rivalry," Ogebe added. As ISIS began seizing large areas of northern Iraq throughout the summer months of 2014, the group made a systematic habit of sexually enslaving the religious minority women, while killing off the religious minority men in the villages that they raided and conquered. Although the number of Iraqi citizens killed in 2014 was approximately 17,000, thanks in large part to the rise of ISIS, Ogebe reasoned that Boko Haram was a deadlier group than ISIS last year. According to the United Nations, Boko Haram accounted for nearly 10,000 deaths, while it displaced nearly 1.5 million in 2014. Even though ISIS has released publicized mass execution videos, with one of the group's latest videos showing the beheading of 21 Coptic Christians in Libya, Ogebe stated that Boko Haram's mass executions tend to involve many more victims than ISIS' mass executions. Ogebe described an instance in September 2013 where Boko Haram militants beheaded over 150 Christians by setting up a roadblock and disguising themselves as Nigerian military personnel. As people drove through the roadblock, the militants checked individuals' identification cards to see if they were Christian. As Christians went through the roadblock and were identified, they were all abruptly beheaded with a chainsaw. "You have cars lined about 10 kilometers patiently waiting for their deaths not knowing that this was a roadblock set up by Boko Haram," Ogebe said. "[T]hey used chainsaws because they wanted to quickly go through the traffic." Although Boko Haram is as deadly, if not deadlier than ISIS, the international community does not recognize that because ISIS knows how to publicize its atrocities and the international media is so focused on ISIS, Ogebe said. "The reason why Boko Haram's atrocities are way more egregious than ISIS and have not garnered attention is partly because ISIS is more tech savvy than Boko Haram," Ogebe added. "A merger of Boko Haram and ISIS is equivalent to the merger of Delta and Northwest creating the super airline. This doesn't mean higher ticket prices, it just means a higher body count." Also in attendance at the Hudson Institute on Monday were four Chibok schoolgirls who escaped from the Boko Haram abduction last April. The four stood in front of the audience and acted as silent witnesses to the atrocity. Speaking on behalf of the 200-plus other girls that are still being held by Boko Haram, Bukky Shonibare, a leading team member of the #BringBackOurGirls Campaign, stressed that it is shameful that nearly a year after the abduction, no progress has been made by the Nigerian government or international community in attempting to rescue the girls. Shonibare explained that the girls who have been abducted are likely being used as militants' wives and a few of them that have escaped have come back pregnant. "This is a Nigerian problem and if we don't deal with it then we are setting ourselves up for a bigger problem," Shonibare said. "We feel something that if the government of Nigeria and the international community and the whole world does not respond to this issue of victims of insurgency, especially internationally displaced persons and refugees, then there is a ticking time bomb." Shonibare additionally demanded for people all over the world to urge their governments to take action to help return the Chibok girls to their family. Shonibare stressed that allowing groups like Boko Haram to kidnap over 200 girls and get away with it sends the wrong message to the "human race." "In 22 days it will be one year since the abduction," Shonibare stated. "That sends a strong message to us, not just to Nigeria but to human race, that two-hundred-and-something girls can be abducted somewhere and 343 days after they are not yet back. 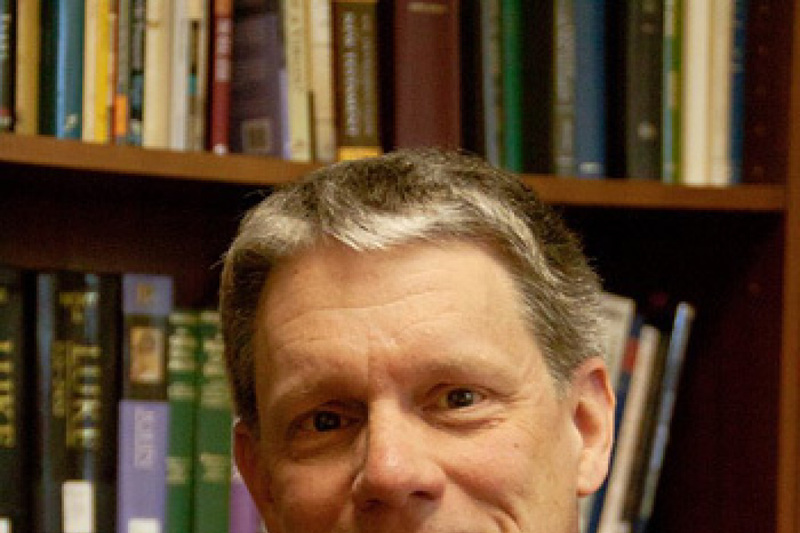 That is a big problem that we have to look into."